The 2019-2020 Power Pass is the most powerful pass in the Southwest. With unlimited winter access to more than 3,400 acres in Colorado, Arizona, Utah and New Mexico plus – new for 2019! – year-round access to the country’s only year-round lift-served mountain bike park, this pass not only delivers your home mountain but your weekend trips, too. A: Passes will be available pick-up at the in-town Purgatory Sports (2615 North Main) or Purgatory Resort’s Main Ticket Office in Village Plaza beginning May 2019. You can use your pass anytime while you’re still paying for it. Plus, when you choose Power Pass, you get to enjoy summer privileges even while you’re paying for your pass. Learn more about the payment plan. A: Season Passes are non-refundable unless the Season Pass Insurance Option is selected at time of purchase. Read details here. Q: What happened to the Local Power Pass PLUS? A: We’ve consolidated the Local Power Pass and the Local Power Pass PLUS this year into one, awesome pass! Q: Does the Local Power Pass have the same benefits of a Power Pass? The names are really similar. A: These passes are part of the Power Pass family, although they do not get the same benefits as the Power Pass. Pass benefits are summarized on the season passes page. A: This year, Hesperus is offering Young Adult (19-24) passes in place of the former College Pass. No credits or proof of enrollment required! Adult: Power Pass Adults are for ages 37-64 as of time of purchase. Local Power Pass+, Local Power Pass, and Value Adult passes are for ages 25-59 as of time of purchase. Young Adult: Young Adult Power Pass is for ages 19-24, 25-29 and 30-36 at of time of purchase. Young Adult (19-24) passes replace College and Student passes. No credits or proof of student status required. Teen: All teen passes are for ages 13-18 at time of purchase. Child: All child passes are for ages 8-12 at time of purchase. Kids 7 & younger ski FREE at every resort. Senior: Power Pass Seniors are for ages 65-79 as of time of purchase. All other senior passes are for ages 60-69 as of time of purchase. Guests ages 70+ ski FREE every day at Sipapu, Pajarito, Snowbowl and Hesperus. Super Senior: The Super Senior pass provides direct to lift access at Purgatory, Snowbowl, Sipapu, Pajarito and Hesperus. Family: Good for immediate family members, all living together and supported by the same income. The first and second passes may be purchased for any age, and the remaining passes are valid only for dependent children ages 8-20. Family passholders must present proof of family status when picking up their season passes. A: Yes! Simply select the Child Power Pass – anyone up to age 12 can purchase this pass. A: It depends on which pass your purchase. 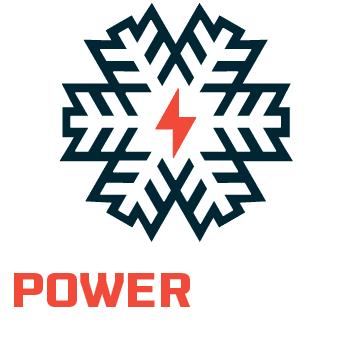 Pass benefits are summarized on the season passes page.